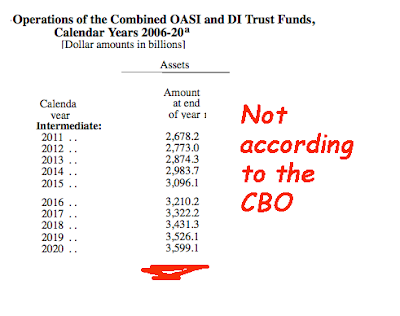 The Congressional Budget Office (CBO) is out with its annual report. 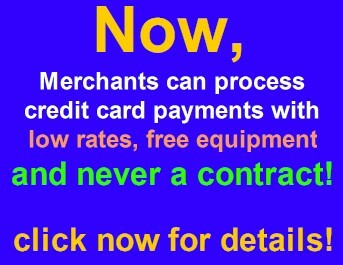 It’s a blockbuster. 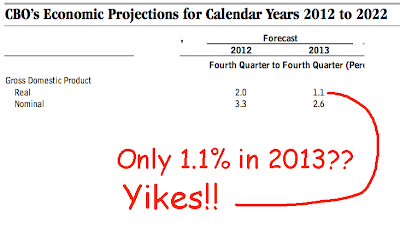 This 165 page monster is filled with dozens of charts, graphs and detailed projections. It will be talked about for weeks. 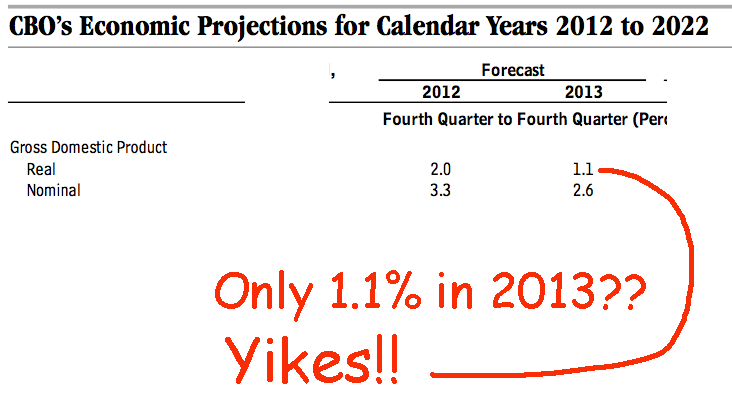 The report provides a dismal outlook for the economy. There is one data point I’d like to focus on. 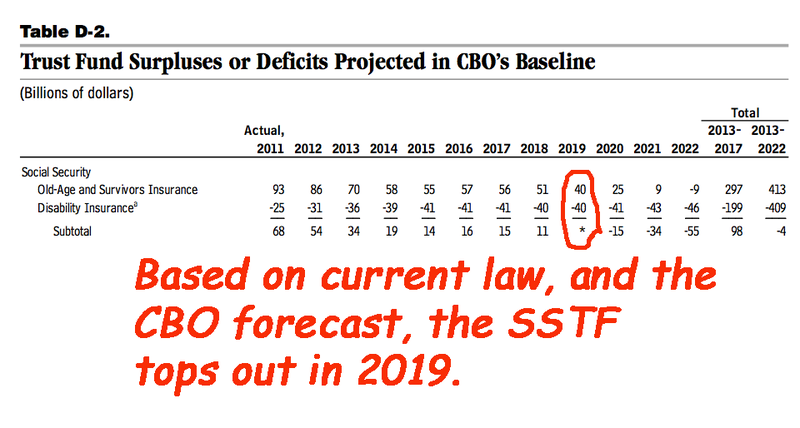 The CBO now forecasts Social Security to run into trouble in just a few years. 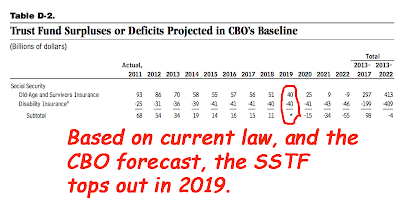 This is a very substantial change in the outlook for SS. 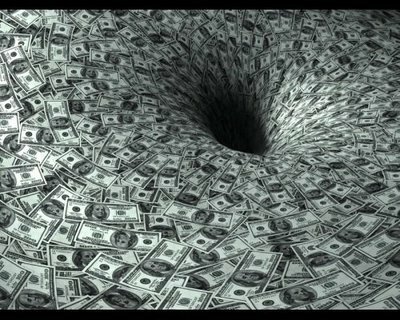 Changed fortunes make it a certain that America’s favorite entitlement program will be on the table for a significant re-vamp. 1) In what year does SS first goes into deficit (including interest)? 2) What is the size of the SS Trust Fund when #1 has been achieved? 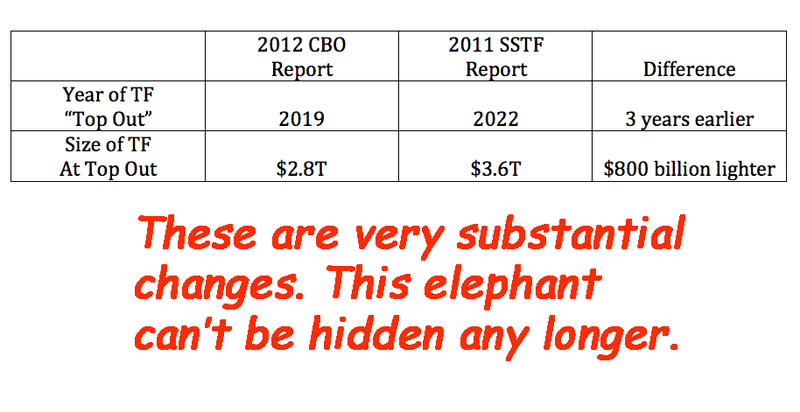 The bottom line is that the SSTF is going to top out three years ahead of “schedule” and be $800B shy of what it was “supposed” to be. 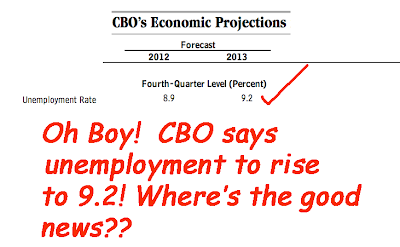 I think the CBO report has created a big headache for a good number of folks in D.C. Most of them are running for office this year. 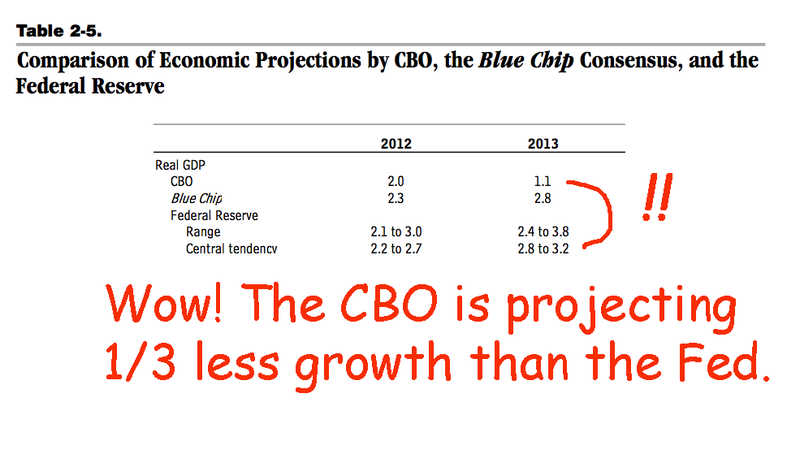 They certainly won’t be able to wave the CBO report as a measure of how well they are doing. 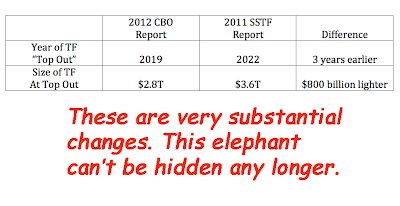 There is a victory in this report for the citizens. 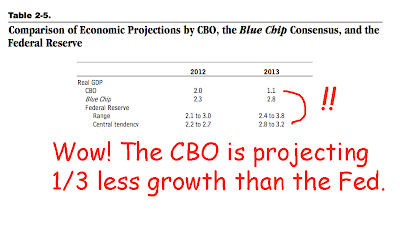 The fact that the CBO isn’t operating shill numbers for those in office is a plus for those of us stuck in reality. 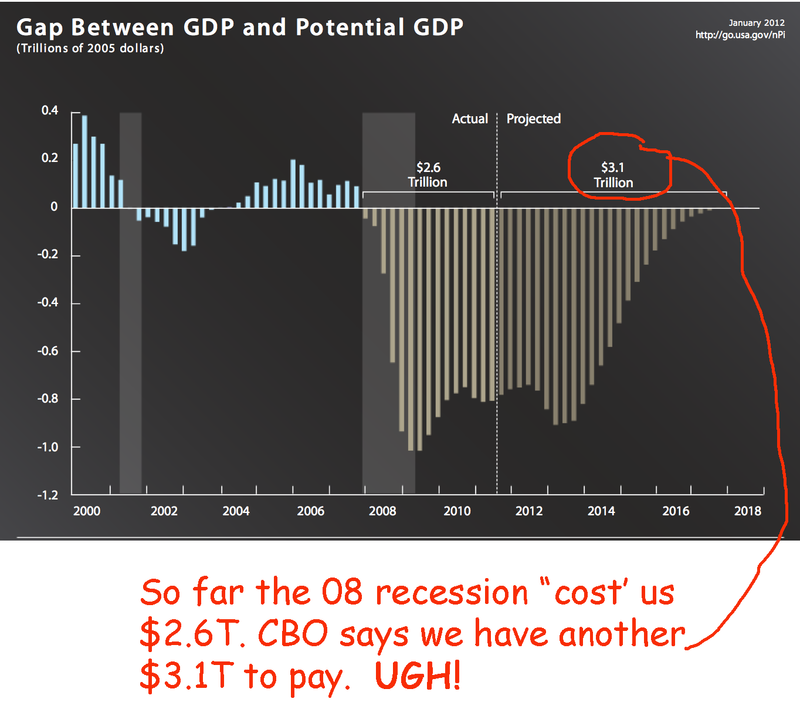 Compounding debt as a solution has run its course in the Beltway. These types of reports will hopefully continue to pressure our representatives to adopt a balance budget before austerity riots become the norm.